Camping with my dad and little bro’ involves a certain element of “roughin’ it”, with a touch of class. We shower outside, behind a trailer. There is a private porter potty just up the road and it’s a feat to reach in the middle of the night with a weak flashlight. We drive ATVs all day on mountain trails that run through what once was a colliery, and cover ourselves in dirt and coal dust. We build a roaring fire and play classic rock and drink beers and tell stories. We encapsulate ourselves in sleeping bags inside of a pop-up camper. We cook over an open fire. 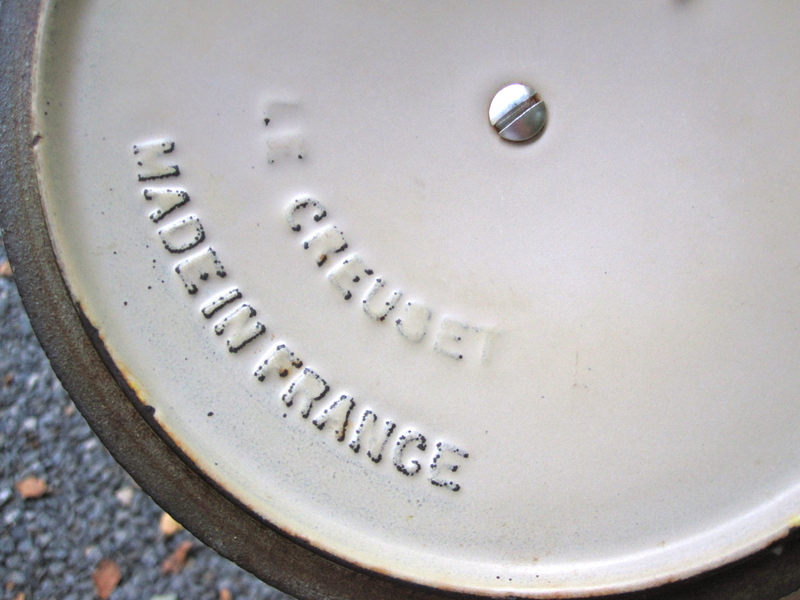 We use an old Le Creuset pot, which my dad stumbled upon in my great-grandmother’s old collection of “junk”. Though considered a high-end piece of kitchen equipment, it is sturdy enough to have survived not only decades of kitchen abuse, but campfire destruction. There’s something about camping that transforms the simplest foods into a four-star meal. And the open fire seems to take hold of even the most culinary adverse, turning them into seasoned cooks. My brother, who rarely cooks and seems emotionally drained after enduring a multi-course meal with my parents and myself, made chicken wings which were beautifully charred on the outside with a juicy interior. And there’s nothing quite like a complete pancake breakfast in the chilly morning hours of a summer day. Good old Aunt Jemima: just add water. 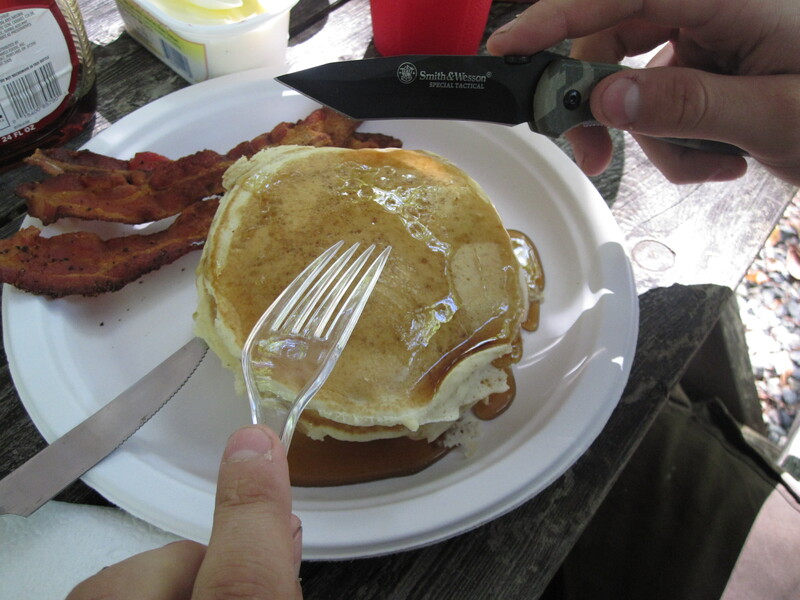 Pancakes and bacon are definitely camping favorites! Make me want to hit the road and head for the woods. 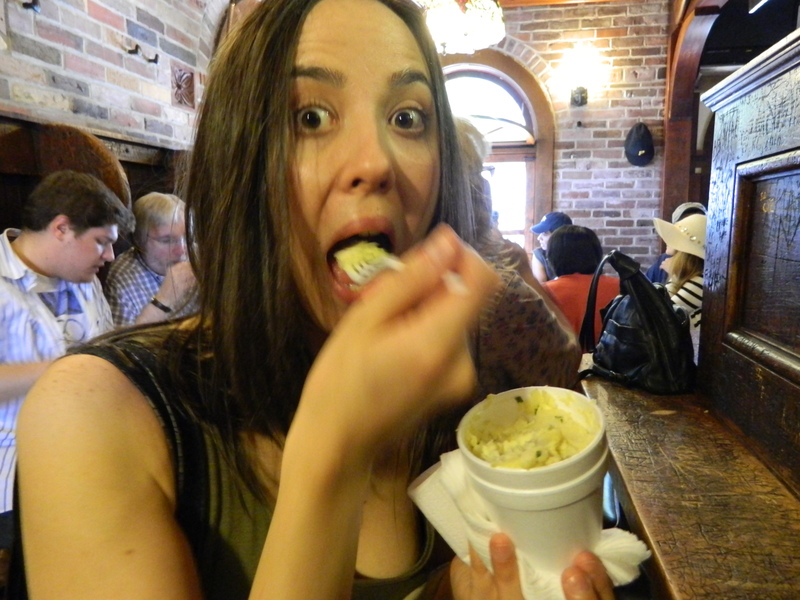 “..something about camping that transforms the simplest foods into a four-star meal.” So true!! One of many reasons camping is so great. 🙂 I can’t wait to go on my first camping adventure in NY!